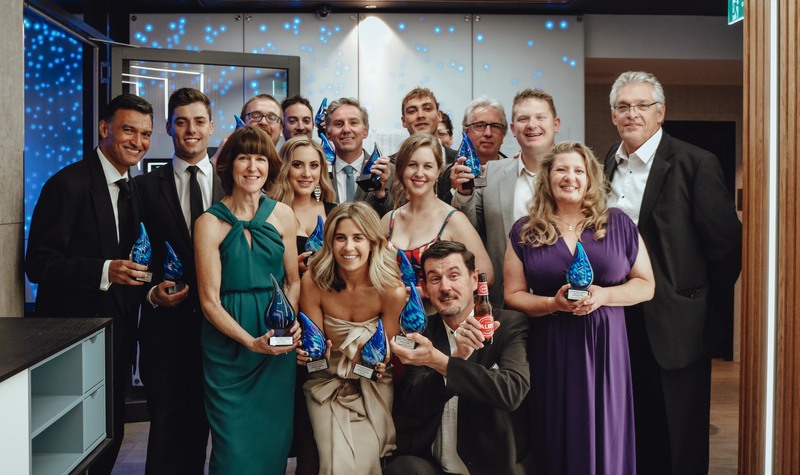 The winners of the 2018 WA Media Awards were announced at the WA Media Ball in Perth on October 27. This year’s media awards attracted more than 280 entries and the judges said the standard of journalism entered for the awards was outstanding. Gary Adshead of The West Australian was named the West Australian Journalist of the Year for his work exposing a series of misrepresentations by the former State MP for Darling Range Barry Urban about his past. The judges said this was “the sort of journalism all of us in the media should be striving to achieve”. The judges acknowledged an extremely high standard of work across all the winners of each category, but Gary’s work was “a level above the rest”. The Arthur Lovekin Prize for Excellence in Journalism was awarded to Tony Barrass of The Sunday Times for his story ‘McCusker’s Bid to Clear Child Killer’. The judges were impressed by Tony’s meticulous, almost forensic, research into a potentially significant miscarriage of justice. “The well-crafted narrative keeps public attention on police and judicial processes, which remain an important issue in WA,” they said. 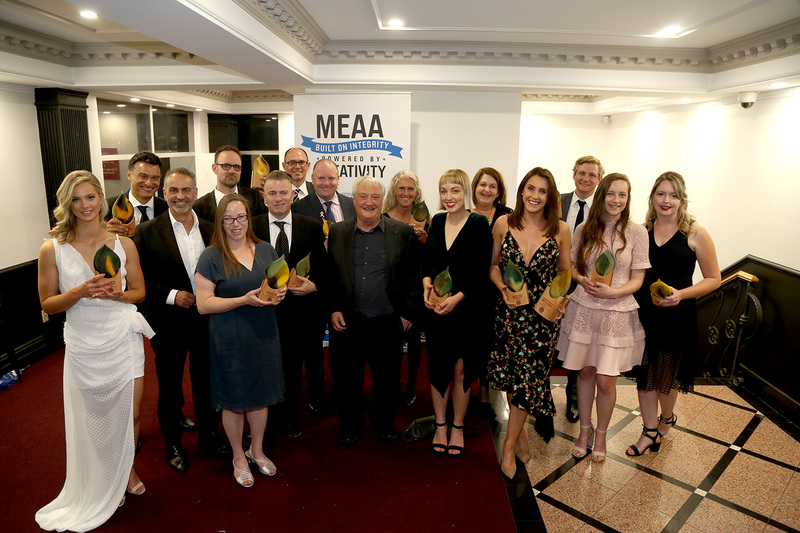 MEAA congratulates all of the 2018 WA Media Awards winners. 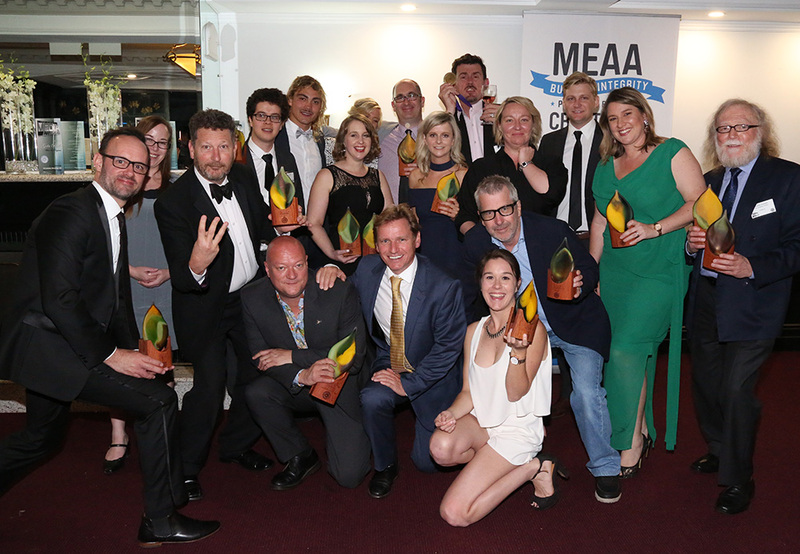 Martin Turner, WA MEAA Media section president said: “It is pleasing to see such a strong commitment to excellence in journalism as has been shown in the entry level to this year’s WA Media Awards. It is equally pleasing to enjoy an evening with our media friends from across the industry to celebrate our work, and to demonstrate the enjoyment we get from such a noble and intellectually stimulating environment as the media affords us. Thanks in particular to our generous sponsors for supporting quality journalism and our judges for sharing their professional knowledge to determine winners,” Turner said. Judges’ Comments This category shows the great work being done in universities to develop new journalists and the future is in good hands if these stories are an indication. Many of the stories had been picked up in mainstream media and Stephanie Baumgartel’s was among those, shining a light on Rottnest’s dirty underwater pollution secrets. Her work across her stories reflected the ability to find a fresh angle, research and report with flair and it will be worth watching to see what she tackles next. Judges’ Comments The judges had a great range of work from new journos across the state and there’s a lot of talent among this cohort, that’s for sure. James Carmody stood out among them for his versatility. He reported across radio, television and online news where he’s also proficient with a camera. James showed a great range of research in his Cyclone Kevin reporting, was among the media throng reporting on the Margaret River murders and stood his ground at the scene of a mass drug overdose in the face of a hostile hostel owner. He’s shown himself to be developing into a very good all-rounder. Judges’ Comments: ‘Rescued’ – An image with great news value, showing good technical skills … and made from a distance in very challenging questionable light. Not only does the bear and the boy tell a great story – but the faces of the three men looking on add to the drama … fabulous. Judges’ Comments: Jon Gellweiler’s Body of Work is a step above the pack in terms of technical skills. His work shows a good range of subject matter, and the images tell great stories. Judges’ Comments: David Dare Parker’s ‘Rohingya refugees’ is a standout above all others. David’s work amongst the Rohingya fleeing Myanmar is very much world class. A telling visual portrayal of the suffering of the Rohingya … and the aftermath of apparent attempted genocide. Victoria Laurie, The Australian: What’s up with the arts in this state? * A $39.5 million Federal Budget initiative ensuring all pregnant women will be offered a free whooping cough vaccine. The decision comes after campaigns by families who lost babies to whooping cough, with our winner receiving the Best Health/Medical Report award in 2015 for her articles on the tragic death of Riley Hughes from pertussis. * New Zealand is moving to join Australia in the mandatory addition of folic acid to packaged bread, to prevent babies being born with neural tube defects. Australian public health officials say our winner’s initial reporting on the case for fortification of bread-making flour with folate was critical to ensuring the implementation of this measure in Australia in 2009. As a result of this, neural tube defects have already fallen by 14 per cent in Australia and by a staggering 74 per cent in indigenous women. Both of these advances have highlighted the quality and far-reaching influence of Cathy’s journalism. If you are having trouble seeing this gallery on your phone or browser, view it on flickr. All photos by Sachi Kotecha https://www.embedgooglemap.co.ukPowered by flickr embed. The full awards winners from 2016. Sponsored by the Media Entertainment and Arts Alliance Winner: • Thomas de Souza, Stories from the Scenic Route, University of Notre Dame Finalists: • Stephanie Garnaut, Body of Work, Edith Cowan University • Cameron McAloon, Body of Work, Edith Cowan University Judges’ comments: “Notre Dame student Thomas de Souza’s ability to source original stories with national and international implications sets him apart as one of West Australia’s most promising young journalists. de Souza showed maturity in his perspective and storytelling beyond that associated with student reporting, particularly his profile of a subculture choosing to live in their vehicles and his written exploration of the reliance upon drugs at Indonesia’s Gili Trawangan. These stories were picked up and published by prominent interstate newspapers in a nod to the originality of his work. Judges agreed de Souza displays a passion for his story topic and delves beyond surface judgments to understand issues affecting people from all walks of life.” Links to view winning submission (one, two and three). Sponsored by Community Newspaper Group Winner: • Nathan Hondros, Body of Work, Mandurah Mail Finalists: • Claire Dearle, Body Of Work , Ten Eyewitness News • Jacob Nazroo, Body of Work, POST Newspapers Judges’ comments: “This category had a very strong field of entries. Nathan’s stood out as brave articles that reflected his maturity and life skills. They were original stories that utilised his network of contacts and not only had relevance to his local community but also had wider social implications as shown by the fact they were taken up by state and national media. He asked tough questions of people in power and the stories reflect a good range of sometimes hard-to-get interviews. They are a very strong start for a new journalist.” Links to view winning submission (one, two and three). Sponsored by The Sunday Times Winner: • Marta Pascual Juanola, Falcon Beach Fatal Shark Attack, Mandurah Mail Finalists: • Colin Murty, Yarloop Devastation, Perth Now and The Australian • Michael O’Brien, Freeway Inferno, The West Australian Judges’ comments: “It was a year of powerful flame images from the flames of Yarloop to burning trucks on Mitchell Freeway. But the winner this year went to a drama on a beach new Mandurah that might have lost to smartphone shots if Marta had not reacted as good news photographers do when code 262 – shark attack – came down the police feed. In shots that would have looked like staged movie stills if we did not know this story was so tragically real. We saw all the human and emergency services drama in trying to save a life. Marta’s work was live, on the spot news photography at its best.” Links to view winning submission (one, two and three). Sponsored by Media Super Winner: • Jon Gellweiler, Body of Work, Ampersand Southwest Magazine Finalists: • Jon Hewson Body of Work, Mandurah Coastal Times • Andrew Ritchie, Body of Work, Guardian Express Judges’ comments: “Jon Gelweiller showed great skills with a diverse range of topics. The pictures were distinctly Bunbury and the South West but the imagery transcended the locality. Jon was under clear pressure to produce when he called his reporter away from the pub to play torch-waver for the stunning shot of a basketball import who had become a local identity. He showed what can be done with water, sunlight and the Bunbury skyline when he turned what could have been a pedestrian paddler pic into a sports classic. Jon says he seeks to find a different angle and he certainly succeeded with his winning shots.” Links to view winning submission (one, two and three). Sponsored by Media Super Winner: • Colin Murty, Eradication of pests on Dirk Hartog Island, The Australian Finalists: • Philip Gostelow,The Utopia Project, The Weekend Australian Magazine • Martine Perret, Ngala Wongga, ABC Goldfields Radio Judges’ comments: “The judges were all taken in by Colin Murty’s photographs of Sue Robinson and Bax working on the eradication program on Dirk Hartog. Colin set out to convey the desolation, space and beauty. And he did this with stunning use of landscape, light and spacing of his human and canine talent. The images speak for themselves.” Links to view winning submission (one, two, three and four). Sponsored by Media Entertainment & Arts Alliance Winner: • Cameron Wallis, Devil Inside – Power of Meth, Seven News 6pm Finalists: • James Hayward, Waroona – Yarloop Fires, Nine News Perth, Today Sydney, Nine Network • Simon Hydzik, Body of Work, Seven News Perth Judges’ comments: “Cam Wallis’s video expose of addicts’ battles with methamphetamine is an outstanding example of precision storytelling, from panoramic drone vision to concise closeups that clearly mark each chapter. His focus on the simple power of people’s faces is both confronting and compelling. Cam’s use of light and shade, haunting family images and a stunning piece to camera in Part Three cap off the masterclass.” Links to view winning submission one. Sponsored by Media Entertainment & Arts Alliance Winner: • Nathan Morris, Preservation of Aboriginal languages of the Goldfields, Esperance, ABC Local Radio, ABC News Online, ABC News 24 Finalists: • Jasmine Bamford, Kalgoorlie multimedia Entry , ABC Goldfields-Esperance Breakfast program • Andrew Brosnan, Body of Work. Kalgoorlie Miner Judges’ comments: “Finalists’ entries were all of a high standard. Several others were commendable. Nathan Morris’s pieces were wonderfully vivid. True to their particular people and places, imaginatively shot, beautifully edited, they were also fruit of time well spent before the camera “rolled”. Their subjects were obviously at ease, allowed to tell their own stories, effectively assisted to do so. No word or image was wasted. “Academic” and “grass roots” speakers were interwoven uncommonly well. Serious issues were explored, but no story became tediously “worthy”, and the first was great fun. Subtitles were used well, sparingly. Nathan himself made no unnecessary intrusions, but any attentive viewer knows he worked hard and well. His first story’s text-based version was fine in its own right, illustrated by Nathan’s photos. If there were separate categories for “feature” and “investigative”, Andrew Brosnan would have been a worthy winner of the latter.” Links to view winning submission (one, two and three). Sponsored by WA Public Transport Authority Winner: • Sarah Brookes, Body of Work, Echo Newspaper Finalists: • David Cohen and Bret Christian, Gang crashes dinner party, POST Newspapers • Bryce Luff, Terror on our Roads, Cockburn Gazette Judges’ comments: “This work is revelatory, well-written and highly relevant to its audience. Brookes showed that in the Perth hills, the NBN was not about cables but towers, lots of them, and she understood the storytelling power of an excellent graphic. Brookes’ story on the damage caused to the environment by feral pigs was thoroughly researched. Her report on the new Midland hospital shed new light on what services would not be offered, and the health implications of this for individuals.” Links to view winning submission (one, two and three). Sponsored by Media, Entertainment & Arts Alliance Winner: • Kerry Faulkner, Special report WA’s accident towing industry among worst in Australia Judges’ comments: “Kerry Faulkner’s entry exposed unsavoury practices in Western Australia’s accident towing industry, describing it as “one of the worst in Australia”. Kerry obtained access to a confidential insurance industry internal report showing serious price gouging, a tow truck driver boarding an ambulance to pressure a woman who was being treated for her signature, aggressive behavior by ‘towies’ towards police and paramedics at accident scenes, creating accident scene traffic hazards, and misleading stressed car owners into thinking the towies are contracted for the job. The article pointed out that some towies were operating “well outside acceptable business practices” and highlighted the need for legislation to govern the industry to protect consumers. The article was well researched and key stakeholders comments were presented.” Links to view winning submission one. Sponsored by Bird in Hand Winner: • Victoria Laurie, Through the Lens; Mavis Walley, The Weekend Australian Finalists: • LaurenDay, The art of prosthetic eye painting, ABC 7.30 • Erin Parke, Miss Daisy, 7.30 ABC TV Judges’ comments: “Victoria Laurie has again entrenched her reputation as the leading culture and arts reporter in the state. Her remarkable stories about the chance discovery of photographs by Mavis Walley – a proud, illiterate mother of 11 who used her beloved box brownie camera to capture a rarely seen part of Western Australian history – are more fine examples of Laurie’s exceptional reporting and writing skills. Laurie’s stories brought to life the images captured by Walley in the small Wheatbelt town of Goomalling during the mid-20th century, capturing the pride, joy and resilience of Walley’s fellow Aboriginal people in a defiant rebuttal to those who presume these lives were pure hardship. Laurie conveyed not only the artistic beauty of the compositions, but also the historical and cultural significance of the photographs and the impact of their re-emergence on the descendants of the men and women in the images.” Links to view winning submission (one and two). Sponsored by The Gordon Reid Family Foundation Winner: • Emma Young, A child’s ‘best interests’, WAtoday Finalists: • Cathy O’Leary, Robbie’s Fight, The Weekend West • Rebecca Turner, Politics before public health? The children’s water park at Elizabeth Quay, ABC News Perth Judges’ comments: “A very strong category again this year but Emma Young’s piece was not only the best but one of biggest stories of the year. She used modern digital reporting at its best to accompany sensitive and well balanced written pieces. Her research and tenacity developed a series of stories that probed the broader issues at play and provoked debate on a sensitive topic. A heartbreaking story which raised both moral and ethical queries in the medical and wider community. Cathy O’Leary’s report also bought an important issue to light and was highly recommended.” Links to view winning submission (one, two and three). Sponsored by Media, Entertainment & Arts Alliance Winner: • Emma Young, Lancelin residents win development battle, get dunes rezoned for conservation, WAtoday Finalists: • Liam Croy, Cockburn Sound fish kill, The West Australian • Ben O’Shea, Gravity Waves Discovery, The Weekend West Judges’ comments: “A good news story requires well researched and balanced reporting without bias. It must also pique public interest while finally getting a result, either negative or positive, for the protagonists. Emma Young’s series met all these criteria. A series of bungles by the State, environmental bodies and a shire eventually forced the Government to knock back a rezoning plan to protect an endangered plant species protected by Federal law. This report highlighted lackadaisical and inadequate investigation, research and planning by a number of statuary bodies resulting in a different outcome for both the local and wider communities.” Links to view winning submission (one, two and three). Sponsored by Media, Entertainment & Arts Alliance Winner: • Paige Taylor and Victoria Laurie, The reality of everyday life for our most vulnerable kids, The Weekend Australian Finalists: • Courtney Bembridge, Indigenous language barriers putting innocent people behind bars, ABC News – Online • Victoria Laurie and Paige Taylor, Gene Gibson, The Weekend Australian Judges comments: “The entries in this category were very strong overall, however the stories by Paige Taylor and Victoria Laurie stood out in a class of their own. The reality of everyday life for our most vulnerable kids is described through two incidents that prompted widespread outrage – an 11 year old boy charged with murder, and a 10 year old girl who took her own life. The issues these articles explore are uncomfortable and complex. Yet by detailed research, good contacts and trusted relationships with communities and services, Taylor and Laurie are able to take us inside a world that most Australians would not willingly enter. These stories humanize the headlines of alleged murder and suicide by children and open up confronting national conversations about how as a society we care for our most vulnerable children and families. They do this with a sensitivity that does not disenfranchise the people that have trusted them to tell these confronting stories.” Links to view winning submission (one, two and three). Sponsored by The Sunday Times Winners: • Andrew Probyn, Mediscare, The West Australian • Rebecca Turner and Jessica Strutt, The big money and politics behind the Kwinana buffer protests, ABC News Perth Finalists: • Anthony De Ceglie, Aboard Gravy Train, The Sunday Times/PerthNow • Joe Spagnolo, Stephen Smith: From Beginning to End, The Sunday Times Judges’ comments: “Mediscare, by Andrew Probyn, The West Australian. All the ingredients of a winner, and a very important national scoop that dominated the political agenda for months. Andrew Probyn broke the story in February. All parties should have known it would be an election issue as the back office work employs thousands of Community Public Sector Union workers. Probyn’s analysis clearly spelt out Turnbull’s dilemma. But Turnbull didn’t act until June 19, a fornight until election day, giving Labor the Mediscare weapon. With the GP payments freeze and pathology cuts, one more seat and Mediscare could have won the election. Excellent get and insight into Australian thinking by Probyn.” “Kwinana buffer zone, by Rebecca Turner and Jessica Strutt, ABC News. Excellent combination of reportage of a protest by ordinary land owners, and pulling back the veil of corporate donations and influence. The small landholders have had their retirement plans shattered while big end of town property investors are in conflict with government policy. Satterley retaliates by withholding funds from Liberal HQ – looks like HBO drama but it’s real life. Followers of these reports wondered:‘Who is the state government serving?’ Jess Strutt asking the hard questions and pressing for answers on a disturbing and murky topic.” Commended: “Smith tilt, by Joe Spagnolo, The Sunday Times. Joe was always first with this story while other media ignored the months-long rumblings of the Labor backbench, or didn’t have attribution. Good contacts and perseverance paid off with the exclusive Smith interview. Spagnolo deserves credit for sticking with his instincts and pursuing Smith to speak.” Commended: “All Aboard Gravy Train, by Anthony De Ceglie, The Sunday Times. Excellent work: holding politicians to account. This rail travel was a rort that failed the pub test – and the users should have known it did not meet community expectations, especially when ministers such as Helen Morton were cutting programs to the needy in her department. 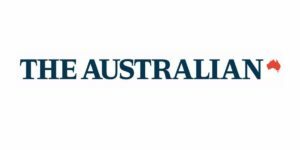 Without scrutiny from The Sunday Times it would still be there for any pollie’s winter break.” Links to view winning submissions by Andrew Probyn (one, two and three). Links to view winning submissions by Rebecca Turner and Jessica Strutt (one, two and three). Sponsored by Media, Entertainment & Arts Alliance Winner: • Yarloop and Waroona Fire Coverage Team Entry, Simon White, Emma Young , Tim Carrier, Heather McNeil and David Baker, WAtoday.com.au and Fairfax Media national network Finalists: • Ryan Emery, Life on Christmas Island, sbs.com.au/news • The Hidden High Team Entry. Simon White, Franziska Rimrod, Giovanni Torre, Mary Louise Brammer and James Mooney, The hidden high: flying high under the radar on synthetic meth, WAtoday.com.au Judges’ comments: “The team made innovative use of the digital platform to provide extensive coverage that offered an important community service in a time of crisis and confusion. The well-curated collection of elements included good use of audio, a great collection of pictures and a compelling live blog and trunk story that was updated more than 80 times. The inclusion of stories, not only about the devastation but of innovative ways that members of the broader WA community were seeking to support the victims extended the relevance of the coverage to a wider audience. In doing so, it is likely to have facilitated the provision of aid and support.” Links to view winning submission (one, two and three). Sponsored by Walkley Foundation Winner: • Martin Saxon, “To Boo or Not Taboo”, “A Day of Whine and Roses” and “Its Fancy Of The Overflow”, The Sunday Times STM magazine Finalist: • David Cusworth, “Tale dogs the WAG”, “Ham minimisation a barbecue stopper” and “Dry planes snifter calls Qantas home”, The Sunday Times Judges comments: “Martin Saxon’s headlines do everything they should and more. Attention grabbing, true to the stories they represent and just the right amount of clever, Martin’s headlines demand attention. Working within the available space and using it to maximum effect, Martin’s eye-catching offerings jump off the page to engage and entice. The topical and witty ‘To boo or not taboo’ demands further reading, sets the tone for the yarn, and finds the appropriate balance between pithy and powerful. ‘It’s Fancy of the Overflow’ and ‘A Day of Whine and Roses’ both deliver a wealth of intriguing connotations in an admirable scarcity of words. A headline writer demonstrably at the top of the game, Martin’s work makes the top of the page a compelling and entertaining entreaty to read on. No word or opportunity is wasted in these offerings that show a fine example of the craft.” Links to view winning submission (one, two and three). Sponsored by Lion Winner: • John Townsend, Eagles dodge drugs bullet, The West Australian Finalists: • Courtney Bembridge, Safety concerns at WA racetrack, ABC News – Online • Nick Rynne, WAFL star’s family heartbreak, The Weekend West Judges’ comments: “John Townsend used traditional reporting skills to break his story about the West Coast Eagles’ inadvertent use of banned substances. The story, which was revealed at a public forum at which Townsend was the only reporter because of his inside knowledge of the matters to be discussed, had national significance and set the agenda for Perth’s sporting media at a time when the Essendon drugs furore was still at the forefront of the public’s consciousness. His in-depth reporting revealed how the Eagles had avoided a repeat of the Bombers scandal and was a fine example of a legitimate sports reporting scoop.” Links to view winning submission (one and two). Sponsored by Edith Cowan University Winner: • Lauren Day, Man facing deportation despite living in WA since infancy, ABC PM Finalists: • Joseph Dunstan, Carnarvon Aboriginal Flag Debate, ABC Radio North West WA • Ryan Emery, Giving voice to regional migrants, SBS World News Judges’ comments: “Lauren Day uncovered the story of Ian Wightman, a 51 year old man who was awaiting deportation from Christmas Island as a non-citizen, despite only ever knowing life in Australia. Her feature skilfully and clearly demonstrated the results of controversial changes to the Migration Act, which have led to the detention, and deportation, of people who have identified as Australian their whole lives. It played to the strengths of radio as a medium, telling a story from inside the Christmas Island Detention Centre, by phone.” Commended: Joseph Dunstan’s Carnarvon Aboriginal Flag Debate – “Judges agreed that the story had a clear public interest in giving voice to one of the hundreds of people who identified as Australian but were caught up in this sweeping change to Australia’s immigration system. The piece was well-researched, balanced and engaging from start to finish.” Links to view winning submission (one). Sponsored by Media Super Winner: • Jessica Page, Parents Versus Doctors, Seven News 6pm Finalists: • Liam Bartlett, Who Killed Josh Warneke?, Nine News Western Australia • Lauren Day, A look behind the St John Ambulance suicides, ABC 7.30 Judges’ comments: “Jessica Page’s exclusive report sparked discussion across the country. Jessica’s determination saw her successfully apply for leave to report Family Court proceedings, usually restricted to media. 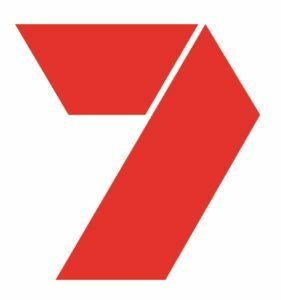 The court granted a publication order at 5pm, giving Jessica an hour to get it to air. The public interest in the legal battle between doctors and parents saw the story receive nation attention across all networks. Her report on 4th July would be the first in an ongoing battle, with the Kiszkos ultimately winning the right to stop chemo and radiation therapy for their terminally ill son.” Links to view winning submission (one, two and three). Sponsored by Lavan Legal Winner: • Andrew Burrell, The Utopia Project, The Weekend Australian Magazine Finalists: • Annabel Hennessy, Ripped Tide: Body Builders Investigation, The Sunday Times • Victoria Laurie, Trail Blazer, The Weekend Australian Magazine Judges’ comments: “Andrew Burrell’s fascinating feature took us inside the mysterious Ideal Human Environment experiment on the outskirts of Kununurra in WA’s remote Kimberley. Is it a cult? Is it a breakthrough in human happiness? Burrell broke new ground by going inside this highly unorthodox social experiment and pulling back the curtain on an untold, unusual but very human story right in our backyard. Burrell’s first person observations were buttressed by rigorous reporting, particularly James Salerno’s groups run-ins with the taxman. In all, it was a first class feature that intrigued, surprised and provoked.” Links to view winning submission (one). Sponsored by The West Australian Winner: • Andrew Probyn, Medicare Privatisation, The West Australian Finalists: • Bret Christian, Series subject: Killer revelations, Post Newspapers, Perth • Joe Spagnolo, Freight Link, The Sunday Times Judges’ comments: “Andrew Probyn’s articles that came to be known as ‘Mediscare’ concerned a secret and highly risky Federal Government plan to privatise Medicare. If successful, the private sector would deliver Medicare, pharmaceutical and aged-care benefits under an extraordinary health services transformation affecting every Australian. Only a few bureaucrats knew of the plan and it was to be a key feature of the Treasurer’s first Budget in May. It would involve a $50 billion-plus outsourcing and it would be the first time the private sector would deliver a government-subsidised national service. As Probyn wrote: “Reforms don’t get much bigger – or more politically dangerous than this.” The story dominated parliamentary debate in the first fortnight of sittings, attracted Senate hearings and haunted the Government during the election campaign, forcing the plan’s abandonment a fortnight before polling day. Probyn’s stories were incisive, his analysis accurate, and they impacted heavily on the election campaign.” Links to view winning submission (one, two and three). Sponsored by Curtin University Winner: Andrew Probyn – The West Australian Judges comments: “Andrew Probyn for his series of stories about the federal government’s plans to privatise the Medicare payments system. Probyn’s stories were a stand out in a competitive field – detailed, clearly written and providing astute analysis, they had a major impact on federal politics. Probyn wrote: “Reforms don’t get much bigger, or more politically dangerous, than this …..Turnbull will have to decide whether a massive privatisation of national health payments is worth the political pain. Does he roll the dice or will this be another bright idea left for another time? The ‘Mediscare’ story, as it became known, dominated much of the debate throughout the election campaign with the issue dogging the federal government and Malcolm Turnbull abandoning the plan two weeks out from the poll.”Tab 2 content goes here. 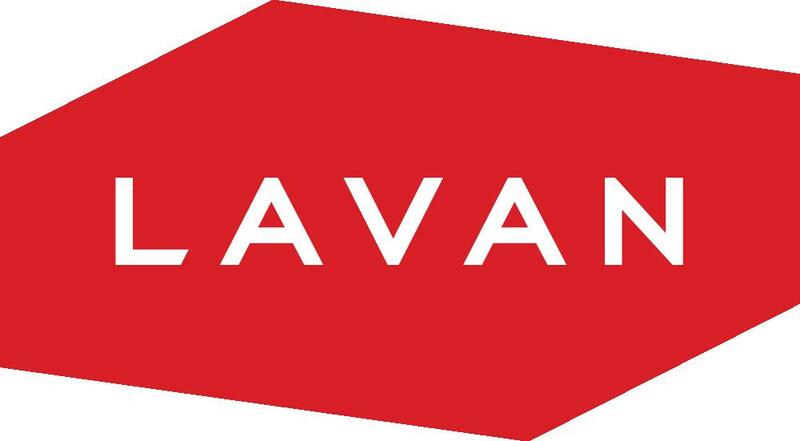 We thank our generous sponsors and media partners, without whom the awards in their present form would not be possible. Please support the organisations who support us. Click on the sponsor’s logo to visit their web site. PHONE: 02 9333 0921 EMAIL: MEAAstateawards@walkleys.com or submit your query using the form below.